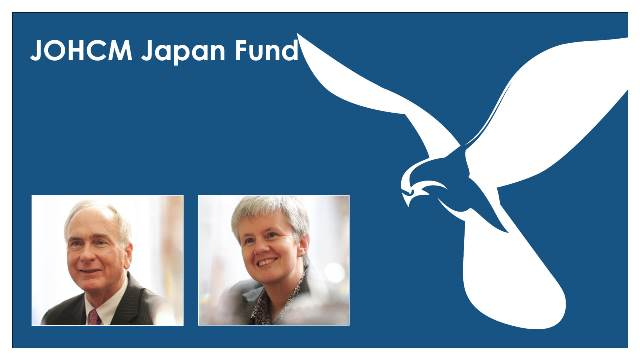 Scott McGlashan and Ruth Nash, co-managers of the JOHCM Japan Fund and the JOHCM Japan Dividend Growth Fund, reviews performance and portfolio activity of the Fund over Q2 2016. Co-managers James Lowen and Clive Beagles review the Fund's quarterly performance and portfolio activity, as well as current portfolio positioning. Paul Wild, manager of the JOHCM Continental European Fund, reviews performance and portfolio activity of the Fund over Q1 2019. Alex Savvides, manager of the JOHCM UK Dynamic Fund, reviews performance and portfolio activity of the Fund over Q1 2019. James Syme and Paul Wimborne, co-manager's of the JOHCM Global Emerging Markets Opportunities Strategy, review the Strategy's performance over Q1 2019 and provide an update on the team's outlook for the asset class and current portfolio positioning. Samir Mehta, manager of the JOHCM Asia ex Japan Fund and Cho-Yu Kooi, manager of the JOHCM Asia ex Japan Small & Mid-Cap Fund discuss their investment philosophy and approach and gives their thoughts on the current outlook for the Asia region. Ben Leyland and Robert Lancastle will highlight how the fund aims to participate in rising markets, protect clients in falling ones and take advantage of volatility to put capital to work without taking inappropriate risks. Co-managers James Lowen and Clive Beagles review the Fund's quarterly performance and portfolio activity as well as current portfolio positioning. Paul Wild, manager of the JOHCM Continental European Fund, reviews performance and portfolio activity of the Fund over Q4 2018. Alex Savvides, manager of the JOHCM UK Dynamic Fund, reviews performance and portfolio activity of the Fund over Q4 2018. James Syme co-manager of the JOHCM Global Emerging Markets Opportunities Strategy, reviews the Strategy's performance over Q4 2018 and provides an update on the team's outlook for the asset class and current portfolio positioning. Paul Wild, manager of the JOHCM Continental European Fund, reviews performance and portfolio activity of the Fund over Q3 2018. James Syme co-manager of the JOHCM Global Emerging Markets Opportunities Strategy, reviews the Strategy's performance over Q3 2018 and provides an update on the team's outlook for the asset class and current portfolio positioning.